Elyx is giddy at the idea of exploring India. With over 1.28 billion people, India is the second most populous country on the Planet. A truly unique country whose cultural richness bears testimony to its glorious history. A melting pot of languages, religions and culinary traditions. Home to immeasurable natural and architectural treasures. Who has never heard of the Taj Mahal, the immense mausoleum of white marble, which is one of the Seven Wonders of the World as well as being on the UNESCO World Heritage List? Like most other stops, the UN digital ambassador is warmly welcomed by our UN Information Centre colleagues. 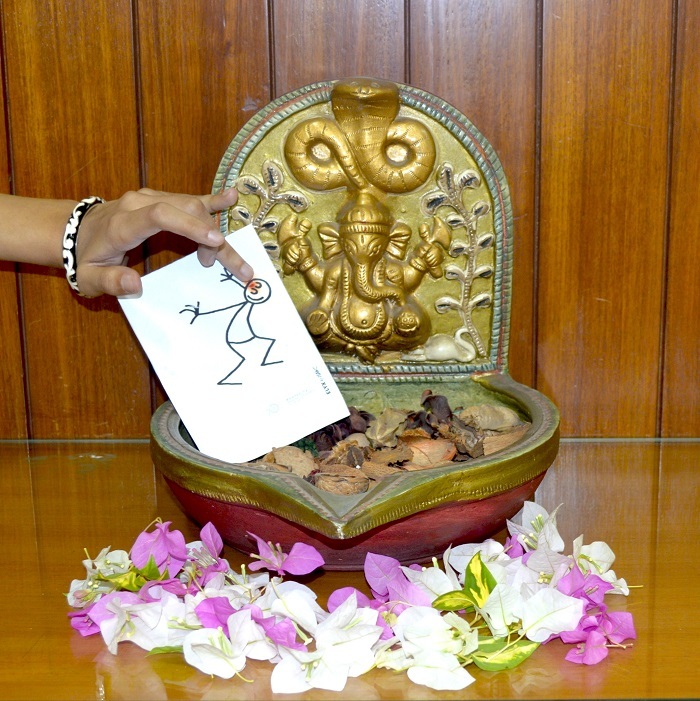 Elyx quickly learns the truth in the Sanskrit motto is ‘Atithi Devo Bhava’, meaning ‘the guest is equivalent to God’. 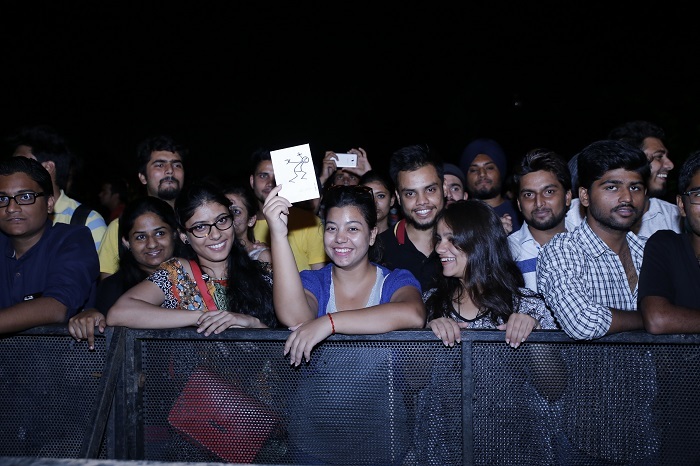 Indeed, Elyx really feels loved in India and quickly makes new friends! The digital ambassador does its homework in Delhi, as in every other capital where UN is present. And here the UN family is quite substantial. 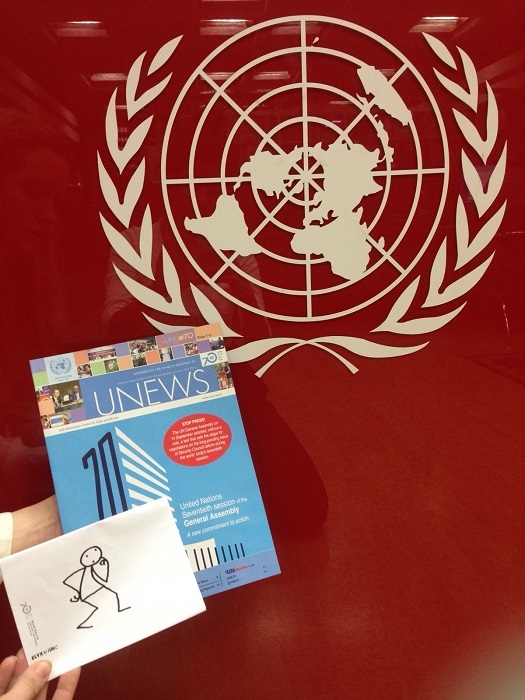 First a look at the October edition of the UNEWS, the monthly newsletter published by UNIC New Delhi. 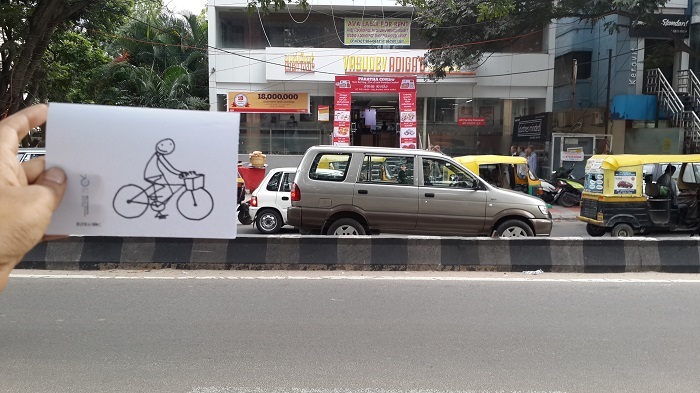 To visit the city, Elyx hops on a bicycle. And now for the colours and scents of India. So many people, and yes so many cars. Elyx can’t help but remember all it has learnt from colleagues on Climate Change and knows that that all these many cars also cause air pollution, a major cause of premature death and health issues in fast-growing Asian cities, including Indian ones. UNEP colleagues tell Elyx that outdoor air pollution leads to the death of 3.5 million people each year and that between 2005 and 2010, that is a 12% increase in India. Elyx cannot miss Purana Quila, one of the oldest forts in Delhi, probably built on the site of one of the most ancient cities of Delhi, Indraprastha. 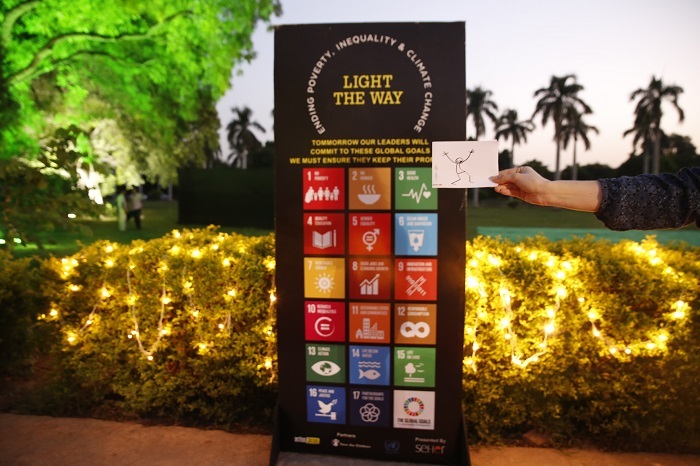 Elyx is told that on 24 September, the eve of the adoption of the Sustainable Development Goals #GlobalGoals (SDGs) in New York, a huge number of civil society actors gathered at this site with the Light The Way initiative, to mobilize the general public against poverty, inequality and climate change. 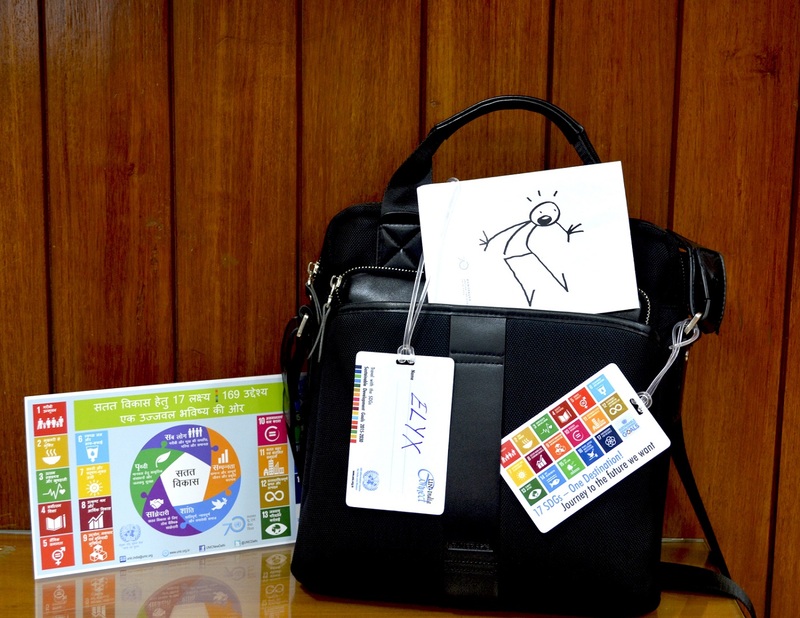 Elyx celebrates the recent adoption of Sustainable Development Goals (Photo credit: UNIC New Delhi). 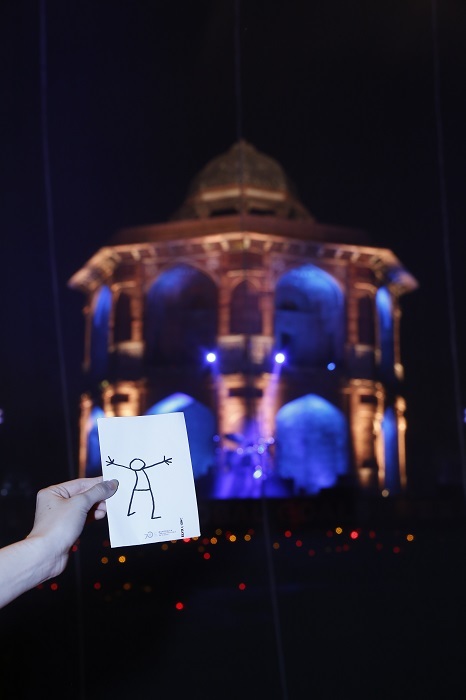 The initiative, embraced by hundreds of thousands of people in iconic places around the world (Sydney, Johannesburg, Sao Paulo, London and New York) was particularly joyful in New Delhi, with a concert and light show featuring Indian artists and Bollywood celebrities. No lack of colour in India, even the billboards are fun. UNIC colleagues tell Elyx about their work in the country, and especially about the We Care Film Festival, an event that they proudly support, aimed at changing attitudes through cinema towards people with disability. 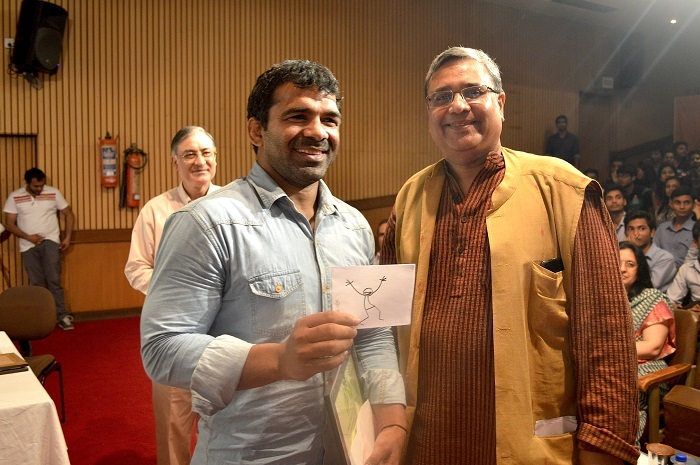 Elyx with one of India's top deaf athletes and wrestling champions, Virender Singh, and UNIC for India and Bhutan's National Information Officer, Rajiv Chandran (Photo credit: UNIC New Delhi). The fight against discrimination and for equal opportunities for all makes Elyx think about the wonderful Indian children of the NINEISMINE campaign that with the motto Nothing About Us Without Us addressed their recommendations on the SDGs in New York, last September, during the week of the UN General Assembly. Their aim was to pave a better way for the children and the planet! 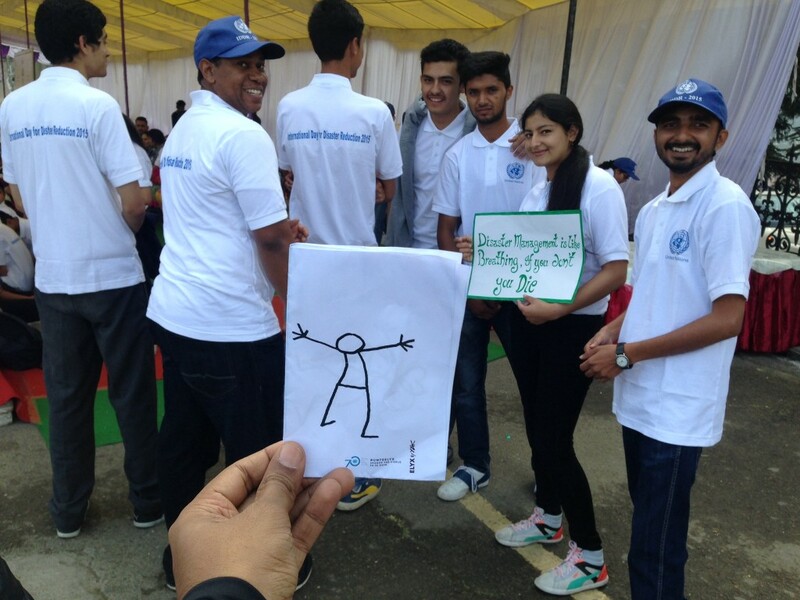 Elyx is so excited to see how creativity is used by UNIC India to shine a light on all the #GlobalGoals. UNICEF colleagues who also welcome the UN digital ambassador explain that India has eliminated maternal and neonatal tetanus, and that means that thousands of lives will be spared! This disease, which still affects 22 countries, has been defeated also thanks to the maternal and neonatal tetanus elimination initiative, an international private-public partnership that includes, amongst others, UNICEF, WHO and UNFPA! After the film festival, Elyx’s new UNV friends invite the digital ambassador the join the Disaster Risk Reduction Day celebration. This advocacy event is attended by 300 youth volunteers from schools and universities and by Chief Minister Himachal Pradesh and senior government officials of the National Disaster Management Authority, the State Disaster Management Authority, the State line departments and the United Nations. This year’s celebration focuses on “knowledge for life”. Its main objectives are to raise awareness of the use of traditional, indigenous and local knowledge, which can complement scientific knowledge in disaster risk management, and to highlight approaches for promoting volunteerism by engaging local communities and indigenous people in the implementation of the Sendia framework for disaster risk reduction. So much to see and so little time before the #UN70 celebrations. Before leaving India for now Elyx zips up and away to visit friends in Bangalore to the south. This is known as the IT hub of India and the perfect place for Elyx to charge up before heading to Niger on Monday. Elyx promises to come back to wondrous India.